In these photos, the car we’re looking at is clearly an Audi SQ8 and not the standard Q8. The differences are immediately apparent, with its key giveaway being its lowered ride height. It looks really good sitting that low, far better than the standard car, especially on those chunky new wheels and tires. Out back, it also sports quad exhausts (not fake ones, either! ), which is a dead giveaway that this is an ‘S’ model car. It also looks much better with those four exhausts, rather than the little fake plastic pieces on the standard Q8. Underneath the hood, the Audi SQ8 is said to use a version of the SQ7’s powertrain, so it will be a 4.0 liter twin-turbo V8 diesel making 429 hp. That would normally make us sad, as it would spell death to the idea of the SQ8 coming to American shores, however it seems that there might be a 3.0 liter turbocharged V6 petrol option for US customers, according to Autocar. 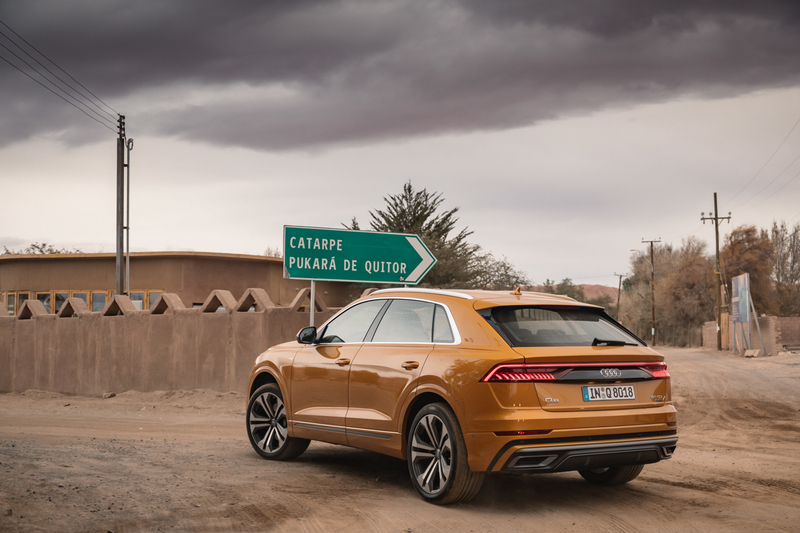 To make the same sort of power as the diesel engine, though, we’d actually expect the petrol-powered Audi SQ8 to use Audi Sport’s 2.9 liter twin-turbo V6, the same one found in the Audi RS5, which makes 450 hp and 442 lb-ft of torque. It’s also said that there will be an Audi RS Q8 that will sit atop even the SQ8 and it will have a 670-plus hp plug-in hybrid powertrain, the same setup used in the Porsche Panamera Turbo S E Hybrid.